Glenn Ligon Runaways, 1993 Suite of 10 lithographs Edition of 45 16 x 12 inches each (40.6 x 30.5 cm) Collection of The Bronx Museum of the Arts. Courtesy of the artist and Luhring Augustine, New York. This exhibition in honor of the late Tim Rollins takes as its departure point the concept of dialog that was central to his vision as an artist and educator. Deeply influenced by the educational theories of Brazilian philosopher Paulo Freire, Rollins used dialog to bring out the truth in each pupil, harmonizing different voices in their varied nuances. Working as a Public School teacher in the South Bronx starting in 1981, his educational approach was pivotal in infusing a sense of pride and belonging among students that often felt alienated from the mainstream. Famously, his call to arms was: “Do you want to make history?” Those who would respond to his call would invariably become masters of their own narrative. For Rollins, the idea of dialog was also an integral part of his art practice, and we might consider the whole of his collaboration with K.O.S. as a sustained dialog not only among members of the group, but most importantly, with great interlocutors of the past, like W.E.B. DuBois, Martin Luther King, George Orwell, and Franz Kafka to mention but a few. Dialoguing with noted precursors is also essential to Glenn Ligon’s practice, whose work often borrows from noted African American visionaries like James Baldwin, Zora Neale Hurston, and Ralph Ellison. 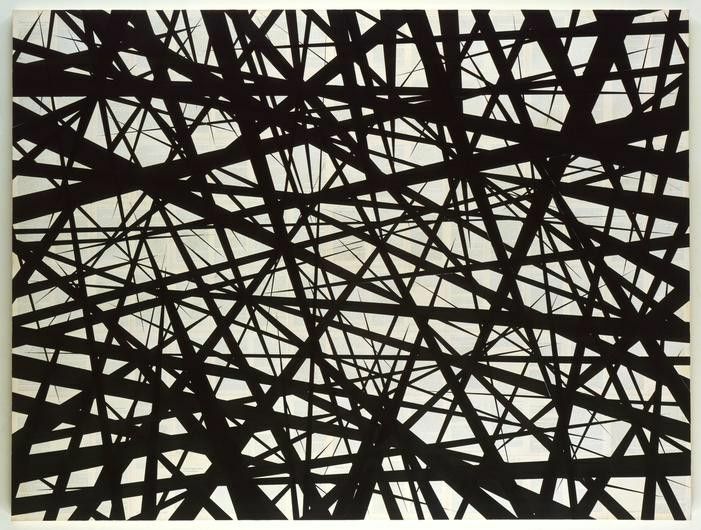 Like Rollins, Ligon is perceptive to the power of words, and to how they can elevate or stigmatize individuals. Born in the Bronx in 1960, he belongs to a generation of Black intellectuals that furthered the revolutionary ideas sowed by leader of the Civil Rights movement in the previous decades. This exhibition invites the viewer to explore parallels between the approaches of Tim Rollins & K.O.S. 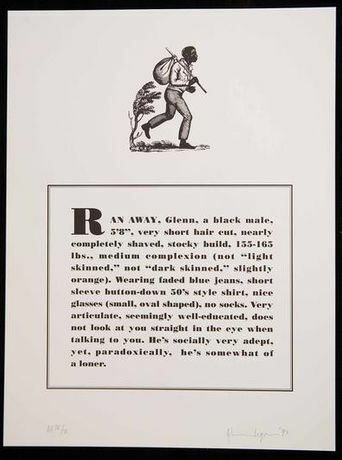 and of Glenn Ligon, and identify their distinct traits. For although the practice of borrowing from different literary sources is at the very basis of their practices, they ultimately arrive at different results. While the works of Rollins & K.O.S. often strike an elegiac tone, Ligon seems rather intent on speaking through the language of others. A case in point is how the topic of slavery is dealt differently in works such as Incidents in the Life of a Slave Girl (1997), and the series of lithographs Runaways (1993). Form, however, often works as an equalizer and we find a surprising echo between Ligon’s reworking of a poster used during the sanitation workers assembly in Memphis in 1968 (I AM A MAN), and Rollins & K.O.S.’ homage to Ralph Ellison’s The Invisible Man (2008). Dialogues: Tim Rollins & K.O.S. and Glenn Ligon has been organized by Antonio Sergio Bessa and Rick Savinon. Save / follow Tim Rollins & K.O.S.